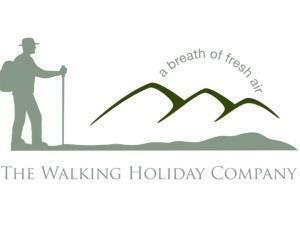 Walking Holiday Company –Offas Dyke Path01600 713008work Guided TourThe Walking Holiday Company have been organising self-guided walks on the Offas Dyke Path for over 10 years. We are specialists in our field, with a superior reputation for quality and service. We have built up a great selection of accommodations along the entire route, providing our clients with only the best, friendliest and welcoming hosts. Our wealth of experience enables us to offer a truly great walking holiday experience on the Offas Dyke Path and all our other walks. Our customers are really important to us, and we are happy to adjust any of the standard itineraries to suit your requirements. From the outset, you will find us approachable and friendly. We listen, because this is your holiday, and should be as individual as you are. Your holiday package includes all your accommodation booked on a Bed & Breakfast basis. Your daily luggage transfers. Your guide books and maps. A fabulous holiday pack, stuffed with all sorts of interesting things. In fact, everything you need for a relaxing holiday! Choose from a host of itineraries. South to North. North to South. Short breaks, long breaks. Rest Days to visit Castles and Abbeys. Our thousands of customers over the years would all tell you that our customer service is just lovely. So why not pay our website a visit, email us, or pick up the phone. We are here to get you on your way. The Walking Holiday Company have been organising self-guided walks on the Offas Dyke Path for over 10 years. We are specialists in our field, with a superior reputation for quality and service. We have built up a great selection of accommodations along the entire route, providing our clients with only the best, friendliest and welcoming hosts.